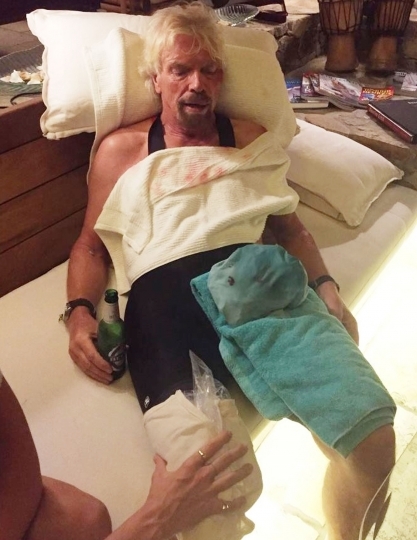 LONDON — Billionaire entrepreneur Richard Branson said Friday he thought he was going to die after flying head first off his bicycle in the British Virgin Islands. 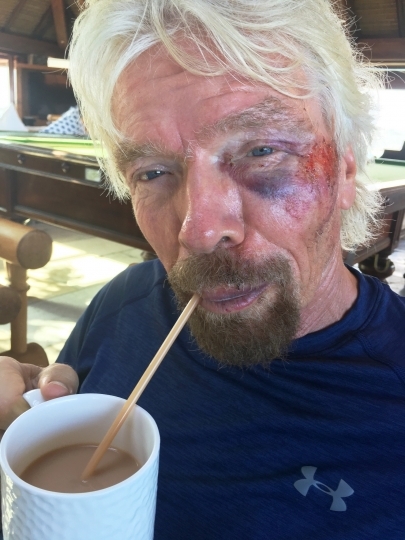 The Virgin Group boss hit a hump in the road on Virgin Gorda, one of the islands in the Caribbean, catapulting him into the road. The 66-year-old posted pictures of his bloodied face on social media on Friday, showing the gruesome injuries that included a cracked cheek, torn ligaments and severe cuts. "My life was literally flashing before my eyes," he wrote. "I really thought I was going to die. I went flying head-first towards the concrete road, but fortunately my shoulder and cheek took the brunt of the impact, and I was wearing a helmet that saved my life." Branson traveled to Miami to receive medical treatment. He said he was really lucky to have not suffered more serious injuries. "My biggest hardship is having to drink tea out of a straw," he said. Branson was training for September's Virgin Strive Challenge, an event in which participants hike, cycle, swim and run from the base of the Matterhorn in the Alps to the summit of Mount Etna in Sicily. 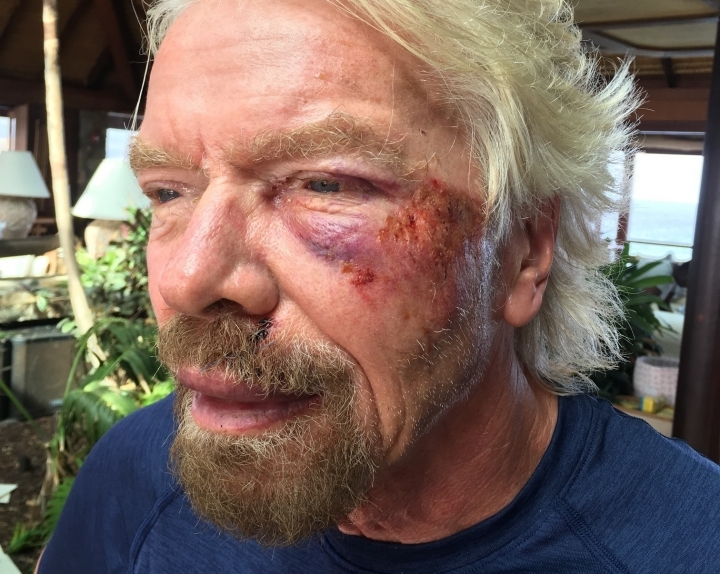 Branson still hopes to take part in the charity event. "My attitude has always been, if you fall flat on your face, at least you're moving forward," he said.